She described the approach as segregation and re-institutionalization of persons with disabilities, calling on the government to “provide the necessary support for persons with disabilities to live independently in their communities. This should be recognized as a human right and not merely as social assistance program." “This is something that really needs to be addressed urgently [in Canada] to make sure that services are provided in the community,” said Aguilar. 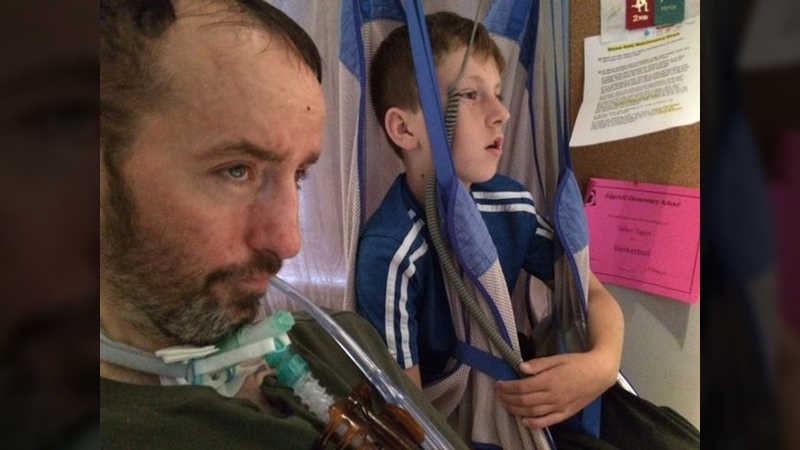 “That support is provided for persons with disabilities so that you avoid situations in which nursing homes or home groups or other kind of residential facilities are the only and default option for people with disabilities"
Sean Tagert (left) is seen with his son in this image from Facebook.